We were hoping to receive an Xbox One code for No Man's Sky NEXT but it never came so we eventually decided to record some footage on PC. Nothing too incredible inside, just some exploration on a bunch of planets and a bit of space travel and combat. Enjoy! Update: One video added with Miguel as a special guest. We also forced tesselation in the config file, we set it to ultra, which is why you might notice a few glitches. 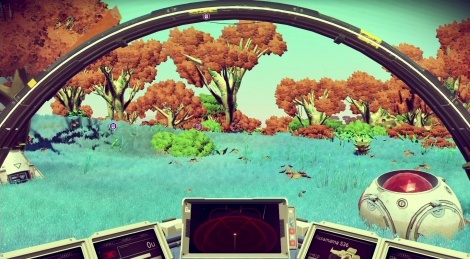 Hello Games announced No Man's Sky NEXT, the upcoming big update for their game that will hit PC, PS4. The game and all its content released so far will also hit Xbox One this year. 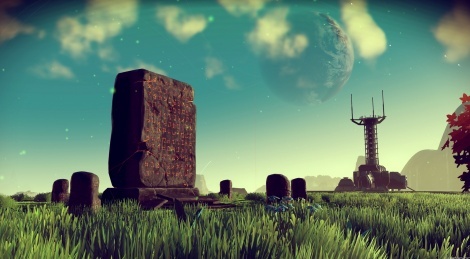 A year ago, No Man's Sky was released and it wasn't long before people started to realize the game's content was nowhere near what had been promised. 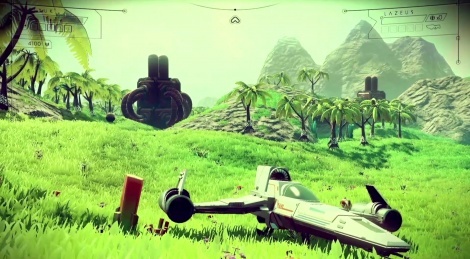 Thankfully, Hello Games didn't stop working on the game, they released updates as often as possible to finally achieve what they had in mind when they started the project. It's probably not quite finished yet, but the game today has become a lot more interesting for newcomers and early adopters alike. Check out our 2 videos (with more to come later) of the PC version. Now we are back from Gamescom, I have finally found a bit of time to explore my very first No Man's Sky planet. 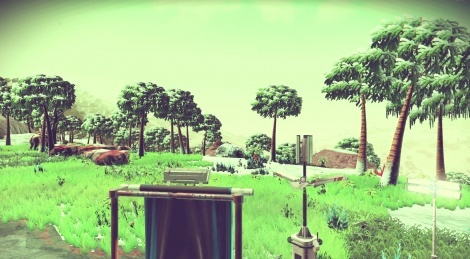 Because of the very cold and hostile environment, it was soon very clear to me that I had to make it Gamersyde's home planet. After all, we French people living in Paris are usually as chilly as ice, not to mention our ruthless mods making survival on the forums quite a challenge. It therefore seemed particularly fitting. Here are 2 videos showing some exploration quite far from my damaged ship. The game's framerate remains steady for the moment, but I haven't taken off yet. Not a title for everyone, but for exploration buffs, it's quite an exciting premice. 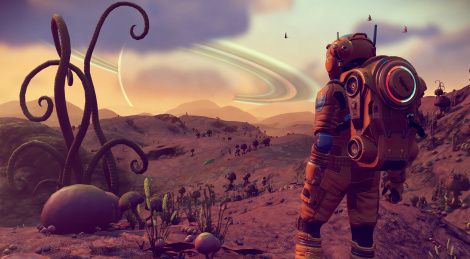 No Man's Sky will finally be available on PC today at around 6 p.m. CEST. Although we have sadly not been sent any code by Hello Games, we have decided to stream the game anyway after purchasing it ourselves. If you're curious to see what it's like and you haven't made up your mind about it yet, join us at 9 p.m. tonight for a new livestream. Update : Livestream cancelled. The capture PC is down. Update 2 : For lack of a livestream here are 2 direct feed videos of the disappointing PC version of NMS. 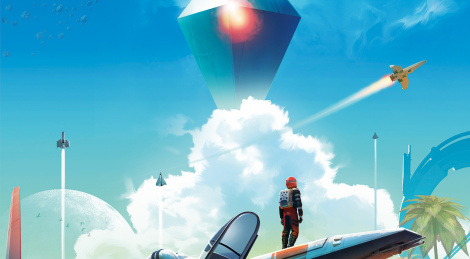 The guys at Hello Games should have a lot on their plate in the next few weeks. 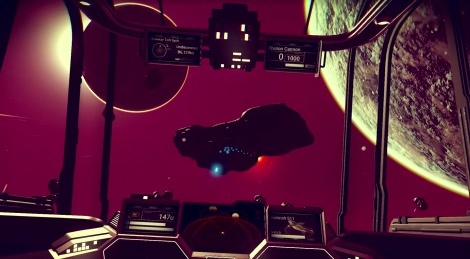 Here is the new trailer for No Man's Sky with the 4 pillars that will guide your steps in the game: Trade, Explore, Survive, Fight. 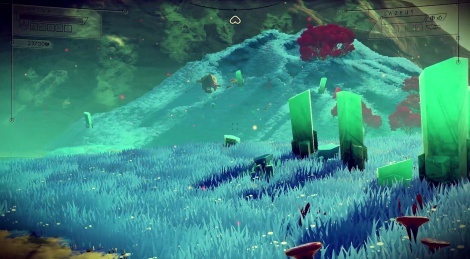 No Man's Sky will be available on PlayStation 4 on August 10, followed 2 days later with the PC release. 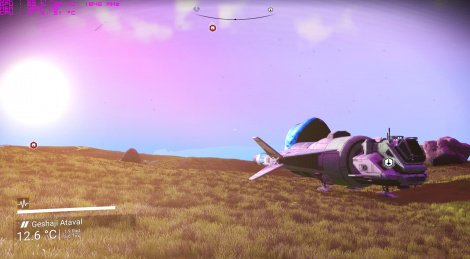 New screenshots for No Man's Sky as Hello Games revealed the game will be out on June 21st with a retail version available for PS4. Pre-order is already available on GOG and the PS Store with a limited edition available. 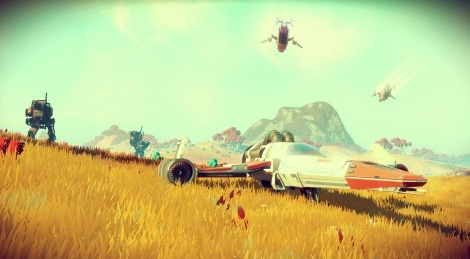 No Man's Sky has finally been given a release date: June 2016. Enjoy the new trailer after the jump.